Smart tips for garage doors! Learn something new about your garage mechanism and ways to keep it stable. Sometimes, you need to use the garage door emergency release. Thus, you have to read the owner’s manual so you will know what to do. You will prevent things from getting worse if you can respond quickly to the problem during emergency situations. 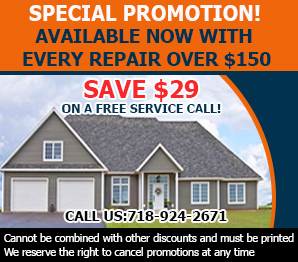 Experts at Garage Door Little Neck suggest that you constantly inspect your garage door for possible problems. It is important to see that the rollers, cables, and other parts are in place. If there is a chance for repair or replacement, it must be done as soon as possible. Keep track of the maintenance servicing of your garage door for future reference. According to our experts, knowing the dates when you last fixed, tuned-up, or replaced parts of your garage door can be helpful for the following times you have it serviced. Also, it is good to know what were the last repairs or replacements you did on your garage door parts. When the garage door is not opening with the garage door remote but does work with the wall mount, this may mean that you need to replace the clicker’s battery or have it reprogrammed. Your best option to reprogram your clicker properly is to consult the manual.